Gray Kitchen Cabinets Ideas catch on.Nowadays, dark gray cabinets, warm gray cabinets and light gray cabinets would be safe bet for kitchen remodeling ideas. As I mentioned with my older articles, gray is the color of being balanced and being simple. I am always against to put some negative load on gray. Gray is one of the complimentary color in kitchen remodeling. Gray has an artistic stand and cabinets are the body of the kitchen. By this way, I think Artistic Anatomy is a cute headline. Gray Kitchen Cabinets Ideas bring you a chance to combine the high energy level accent colors while making your kitchen design nourished and smooth. 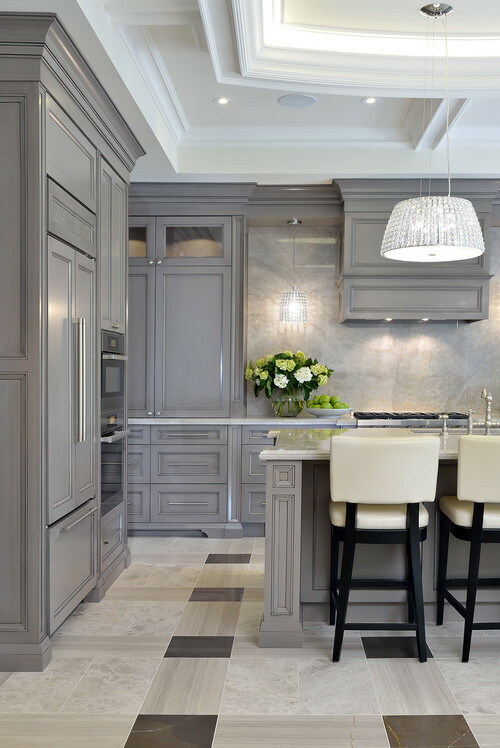 Different shades of grey kitchen cabinets can fit to your personality. Following the trend and showing your inner soul integrate well while go for the grey kitchen cabinets ideas. Gray kitchen cabinets ideas can be picked for two tone cabinets in the kitchen design or can be used as the one color cabinets in kitchen design ideas. The results of both are mesmerizing if the right kitchen design elements come together. Gray Kitchen Cabinets Ideas in Pictures are meticulously selected for your review. I would like to keep the color scale as much as wide to show the artistic Grey’s Anatomy. Hope they all give you a nice visional image in your next kitchen remodeling process. Picture Credit: Carl Mattison Design. 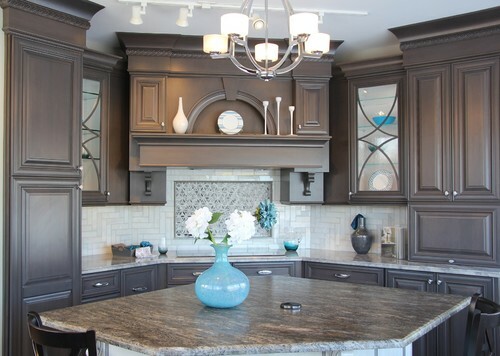 Two tone cabinets and great grays…. Picture Credit: Bradford and Kent. Very soft brownish color of grey cabinets steal my heart. With all the details, this kitchen is like an eye candy. Picture Credit: Poggenpohl. Calming affect and very good design. Picture Credit via Houzz. Traditional kitchen with gray colors, very romantic,Grey dancing , Taj Mahal full high backsplash and countertop , custom made gray cabinets and soft gray and brown flooring. Picture Credit: G. M. Roth Design Remodeling Inc., Two tone cabinets in a high ceiling kitchen. Island base is sweet gray. Perimeter cabinets are white.